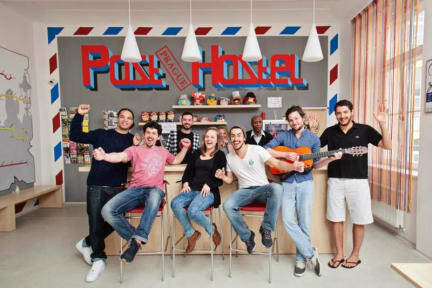 Really great hostel, with amazing staff! This hostel was amazing. The staff and volunteers here are super friendly and helpful. They organize events every day and night meaning that if you wish to meet other travelers it won't be a problem. Special shoutout to Abdul and Mislav! All in all you will have a great stay here as a solo traveler! Location is great, city centar is really near and location is filled with local bars, but neighborhood is still peacfull. Then staff, staff was litterally amazing, helped us with everything, took us somewhere every day and were super nice to us. Fascilities were clean. Atmosphere is really good and all the time we had stuff to do because staff was always offering to took us with them, 24/7 reception is great because you could grab a beer/cider/juice when ever you want. Highly recommending. On the more expensive side overall but the curtains on the bed are a massive help. Very party based hostel so not the best if you’re just there for the city itself. Only real negative was the slightly broken shower. Hostel was everything we needed for our stay. It was outside the main area but worked well with transport connections. Most of the staff were very helpful. Hostel was clean and would recommend.